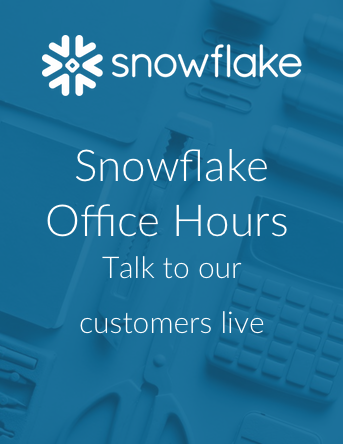 Snowflake Computing, the only data warehouse built for the cloud today announced that Atheon Analytics, a leading data visualisation company has chosen Snowflake to supply real-time data insights to UK supermarket suppliers, helping identify any service issues, stock replenishment needs and quantify the impact on waste and sales across the entire supply chain. Formed in 2005, Atheon Analytics has been working with UK retailers to realise the benefits of exploring, analysing and communicating organisational performance through visual data analytics. Having previously used Microsoft’s SQL Server and Exasol, Atheon Analytics chose Snowflake to power its SKUtrak SaaS platform for its ability to manage and share large datasets in real-time, while offering elasticity for peak periods of activity. To continue driving insights for retail suppliers, Atheon will continue to leverage Snowflake’s data platform and collect more data on a granular level. Increasingly, data is being collected and analysed based on individual stores rather than at an overall business or depot level, providing even more useful insights and recommendations for retail suppliers. Atheon Analytics, formed in 2005, provides award-winning visual analytics insight, tools and education to the grocery retail and consumer goods sectors. Its SKUtrak service is the UK’s leading grocery Flow-of-Goods tracker for FMCG suppliers, with over 600 customers using SKUtrak to monitor sales, service and stock levels daily across the UK’s major grocers.